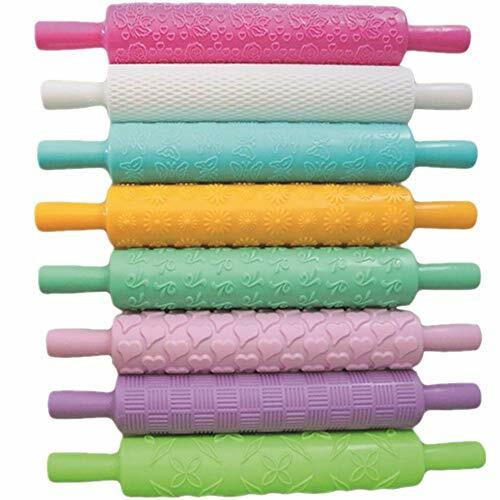 ?The rolling pins have different decorate patterns. 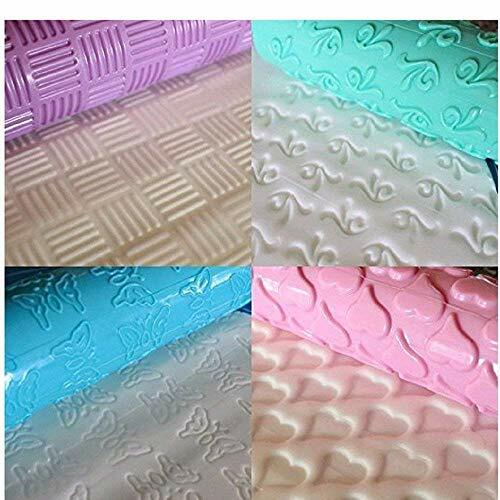 Perfect for decorating fondant cake paste embossing. 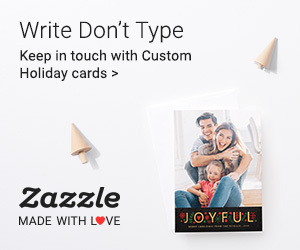 ?Made of food grade ABS material, it is non-toxic, tasteless and easy to clean. ?Roll out fondant with a smooth rolling pin and once rolled out the rolling pin to imprint design. Notes: Wash thoroughly before first use and dishwasher available. ?? 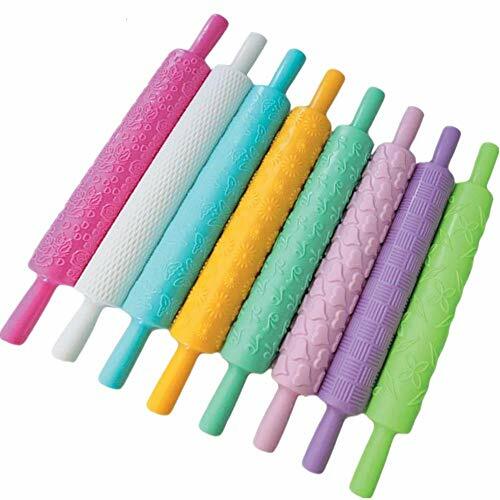 ?Rolling Pin Plastic?Imported food-grade healthy plastic, unlike wood glass or stainless steel, these rolling pins are made from dishwasher safe plastic which is lightweight and hygienic, plastic rolling pins for baking are fantastic for sugarcraft,The long body is great for rolling across wide lengths of cookie dough in one easy stroke for an even textured result. ?? ?Rolling Pin Measurements?These plastic rolling pins for baking are fantastic for sugarcraft. 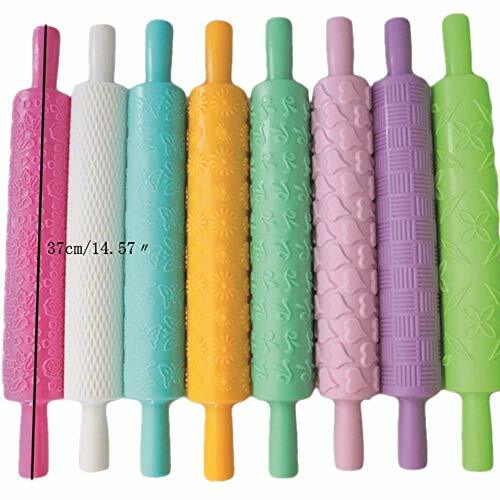 Each rollingpin measures 25cm (9.8") in length (not including the handles), 15.5cm (6.1") in circumference and 4.5cm (2") in diameter. ?? 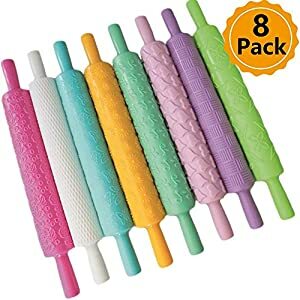 ?Rolling Pins Design?Our high quality set includes 8 unique engraved patterned rolling pins to suit all occasions including Christmas, Valentines and birthdays. 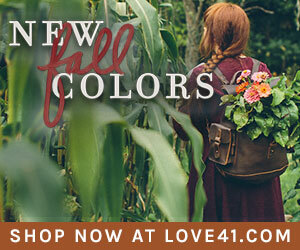 Patterns include butterflies, hearts, roses, daisies, mesh, diamonds, flowers and an elegant leaf design. For best results, we recommend rolling out your icing on a lightly floured or sugared silicone baking mat. 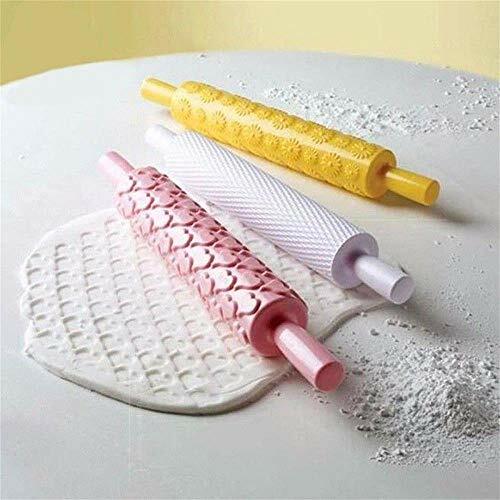 Use a plain wooden or marble rolling pin to mould the icing into your desired shape then finish using the preferred patterned pin for an amazing decorative effect. 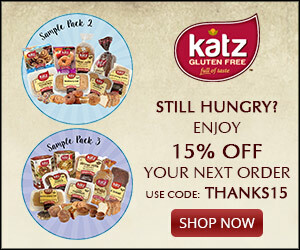 It is ideal to decorate any cake, pie or home made bake! Use with fondant, icing, marzipan, pastry and dough for perfectly patterned decoration which looks outstanding yet super simple to achieve with just a quick push of the pin!